Giveaway Winner Announced! - Polish Etc. My reader appreciation ended this weekend with a total of 3,815 entries. Wow! Thank you to everyone for entering, and welcome to all of my new followers. :) The winner chosen by the rafflecopter is Amy S. and she has already contacted me with her mailing information! Congratulations Amy!! If you're interested in more giveaways, don't forget to enter the Beauty Blogazon giveaway sponsored in part by Polish Etc. Here's what people want to see more of on Polish Etc! This seemed to be a pretty common request, so I'll try to stick in more tutorials as I work through nail art! Also a pretty common suggestion. Nail art is always something I have to push myself to do since I can't wear nail art at work. 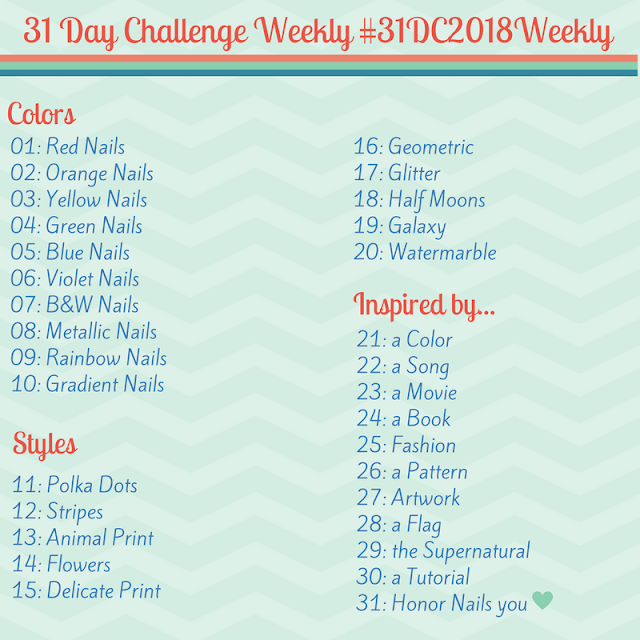 Participating in challenges always pushes me to do more nail art, so I'll make sure to keep doing more! I always try to do comparisons when I see something that there's a close color in my stash, but with my mid-sized stash I often don't have all that many polishes to compare (and can't buy them with my current budget). If you ever have a request for a comparison please let me know in a comment or email and I will do my best! I am already planning a post on my updated collection! I'm in the middle of re-organizing (and making a list of) all of my polishes and I recently got my new helmer. I can't wait to show it to you all! A couple of people mentioned this, and I've been working on a bit of a different banner for a bit now. :) However, seeing as two polishes were sacrificed for the picture above it's definitely going to be sticking around. Sorry to the reader who finds this image "scary!"